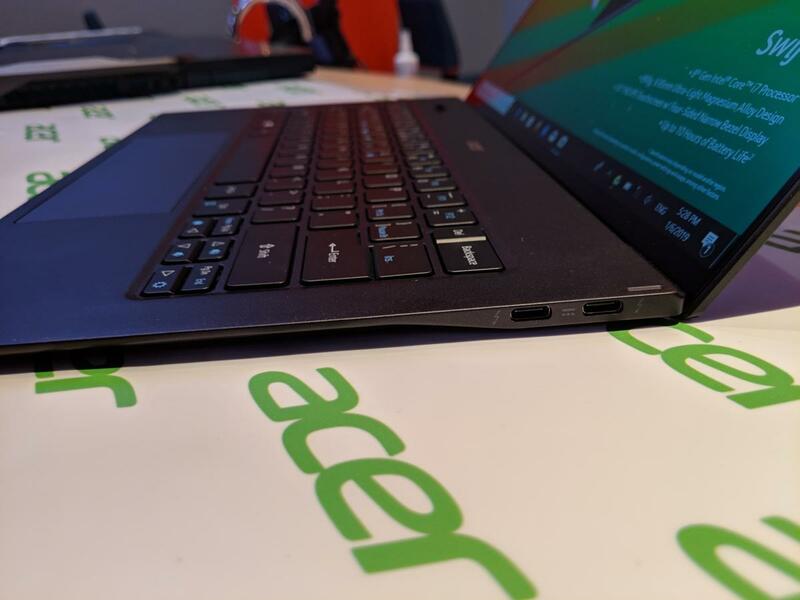 Acer really over-engineered the Swift 7 chassis, delivering one of the more exciting notebooks of CES 2019. Mark checks out the Acer Swift 7, which is even smaller than last years model and adds in Thunderbolt support and a physically clickable trackpad. 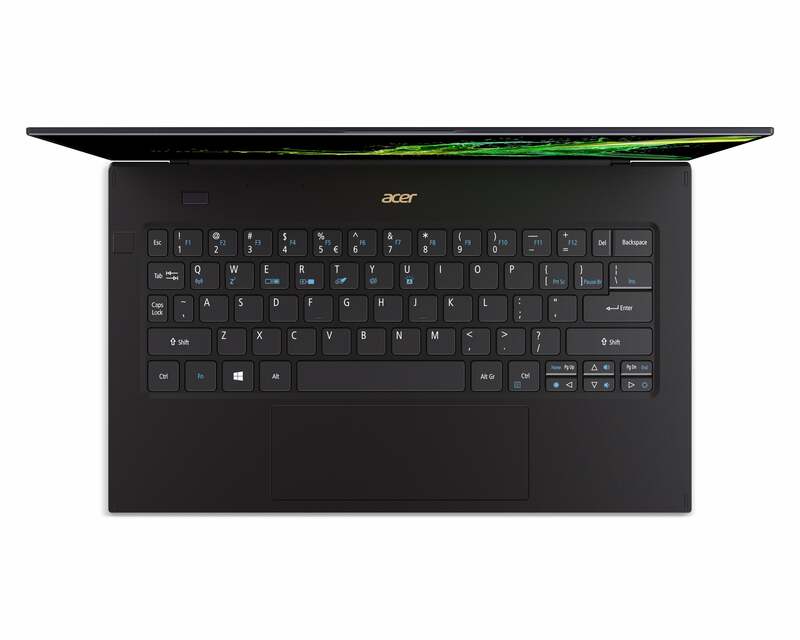 Acer’s Swift 7 has become synonymous with ultra-thin, ultra-light laptops. 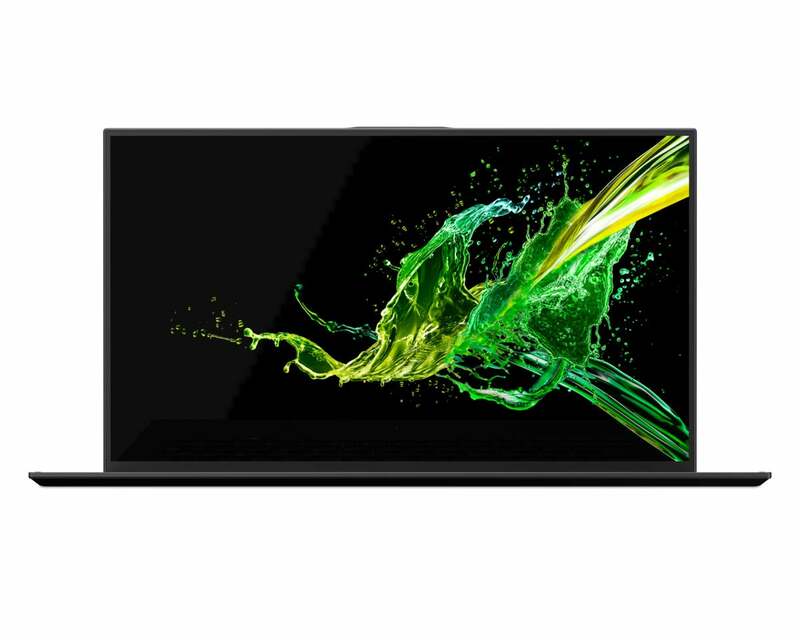 But Acer’s Swift 7 model for 2019 (known as the SF714-52T) does something incredible: It chops about a third of a pound more off the current Swift 7’s package, along with reducing bezels to create a fuller, more attractive display. Launching at CES 2019, the Swift 7 (2019) essentially takes the existing Swift 7, upgrades it to the latest 8th-gen “Amber Lake” Intel Core processor, adds in Thunderbolt support and a physically clickable trackpad, and packs everything inside a sleeker, lighter form factor. The new 2019 Swift 7 SF714-52T will be priced about the same as its predecessor with a $1,699 MSRP when shipments begin in May in North America. 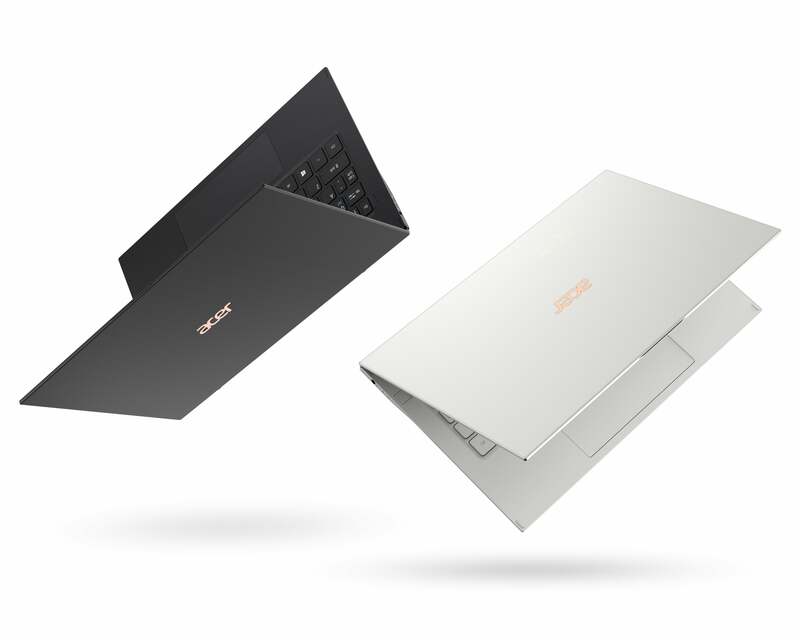 Acer’s Swift 7 (2019) is available in either Starfield Black or Moonstone White. Built from a combination of magnesium-lithium and magnesium-aluminum alloys, the new Swift 7 weighs 2.2 pounds—about a third of a pound less than the Swift 7 from 2018. Acer says both magnesium alloys are up to four times stronger than standard aluminum alloys at the same thickness. The laptop itself is even smaller: 12.51 inches by 7.53 inches, compared to 12.9 inches by 9.3 inches in its predecessor. The new Swift 7 is 9.95 mm thick, which is just about a millimeter thicker than the 2018 version. But overall the machine is smaller. The Acer Swift 7 is thin enough that USB-C ports barely fit. All this goodness is encased in what Acer calls a “micro-arc oxidation finish” to give it a ceramic-like look, either in “Starfield Black” or “Moonstone White”. 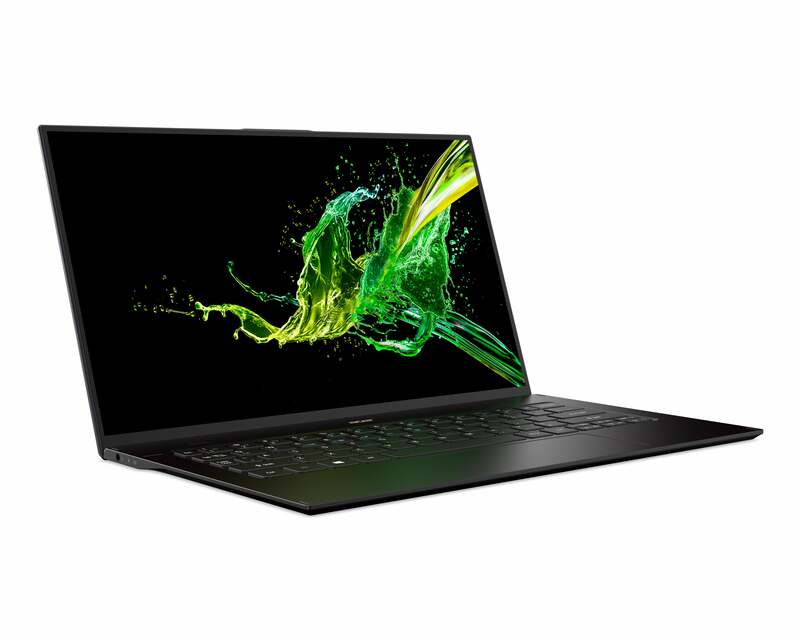 “Thin” has always been the name of the game for the Acer Swift 7, but “light” is the new watchword for the 2019 edition. One Swift 7 feature received a much-needed update: The Gorilla Glass-coated touchpad now boasts an integrated click button. Virtually all new laptops include this, but the 2018 Swift 7 forced users to tap the pad instead, and that experience was just plain painful. The keyboard still has minimal key travel at 1.1mm, but, hey, it’s still backlit. Acer still has a pair of USB-C ports available for I/O, but they’re now a bit more flexible, supporting Thunderbolt 3, a higher-speed I/O technology that makes connecting a 4K monitor, and even an external graphics dock, much more feasible via 10Gbps DisplayPort 1.3 support. The Swift 7’s keyboard has been a weak point. Acer chose to incorporate a push-to-open webcam, which can sometimes be of limited utility. (Well, it was forced to -- a lack of bezels means a lack of space for a webcam.) We’ll have to try it out and see for ourselves. Interestingly, the camera supports HDR technology, which isn’t all that common in a user-facing Webcam. Last but not least, let’s get into core components (it may seem odd to discuss silicon last, but this just goes to show how much design matters in the Swift 7). Acer has upgraded the machine with a Core i7-8500Y processor, a member of Intel’s latest Amber Lake Y-series of chips. The 8500Y is an interesting beast, as its default speed is 1.5GHz, but can boost to a whopping 4.2GHz—all within the Swift 7 (2019) design, which is entirely fanless. Battery life is rated at 10 hours, which would be about an hour longer than our real-world battery rundown test on the Swift 7 (2018). There’s one interesting omission, however: LTE. The Swift 7 (2018) shipped with an LTE slot, and even a trial plan that included a gigabyte of free data, at least for our review unit. Acer mentioned no LTE for the Swift 7 (2019), and merely noted the new notebook includes Intel’s Wi-Fi 5 Wireless-AC card inside of it. There’s also Bluetooth 5. But yes, the LTE omission is no mistake: the 2018 version of the Swift 7, known as the SF714-51T, will likely be around for some time and both models will coexist, a company spokeswoman said. That means, however, if you value a Swift 7 with LTE, you'll want to purchase the older model. The screen bezel is almost nonexistent within the Acer Swift 7 (2019), with a screen-to-body ratio of about 92 percent. All in all, the Swift 7 (2019) is an intriguing combination of physical design and component upgrades, with the keyboard remaining as the only real question mark. Otherwise, it appears Acer has substantially improved its thinnest and lightest of thin-and-light PCs. Updated at 9:54 PM with photos and additional details.